Your favorite Chocolate Chip Cookies made for the holidays - just add peppermint! 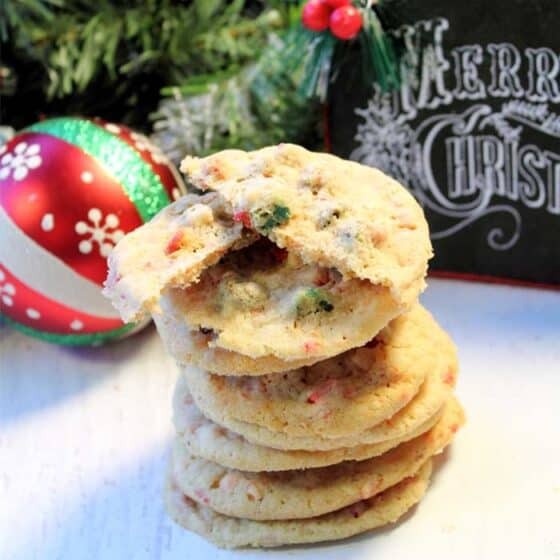 Peppermint Chocolate Chip cookies are easy to make & perfect to share. In a medium bowl, combine flour, baking soda and salt. Set aside. In an electric mixer, beat butter and sugars until smooth and creamy. Continue to beat, adding vanilla and then eggs, one at a time. Beat until creamy and well incorporated. Gradually add flour mixture and mix well. Stir in chocolate and peppermint chips. Using a small cookie scoop or spoon, drop a tablespoon of dough on ungreased cookie sheets, spacing about 2" apart. Let cool about 5 minutes on cookie sheets then remove to wire racks to finish cooling.